If your looking for a really easy salmon recipe than you should definitely try making this. 1.) 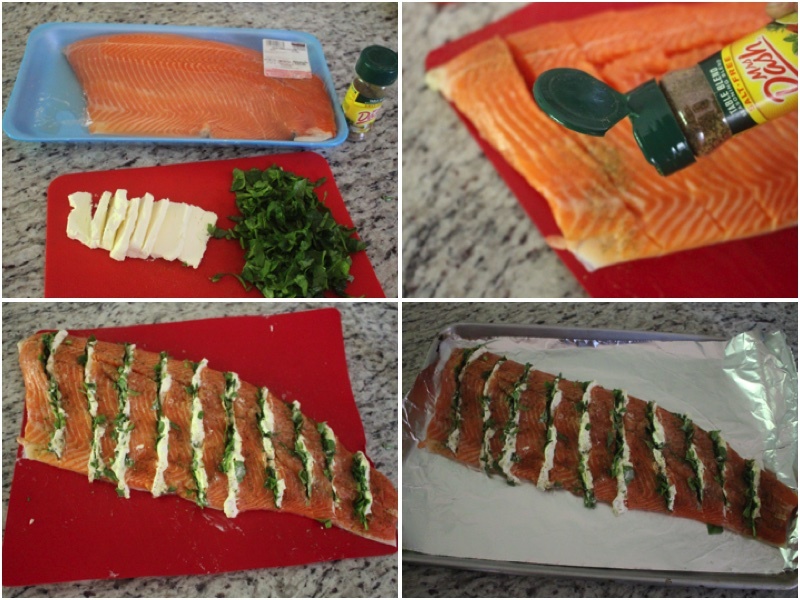 Wash, dry and cut your Salmon file. Cut your cream cheese and spinach. Sprinkle Mr Dash onto your salmon. Add cream cheese and spinach between the cuts as shown in the photo. 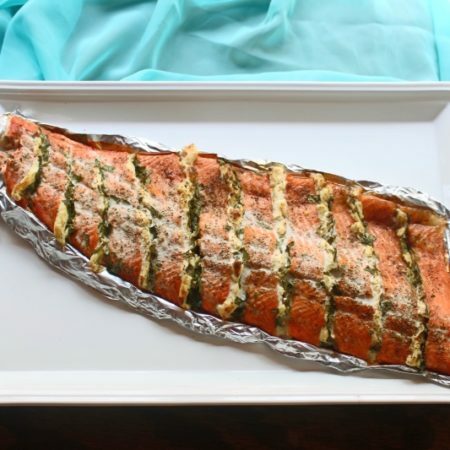 Put tin foil on your cookie sheet and place your salmon on top. Cook for 20 minutes on 350ºF. Place on a serving dish and enjoy. 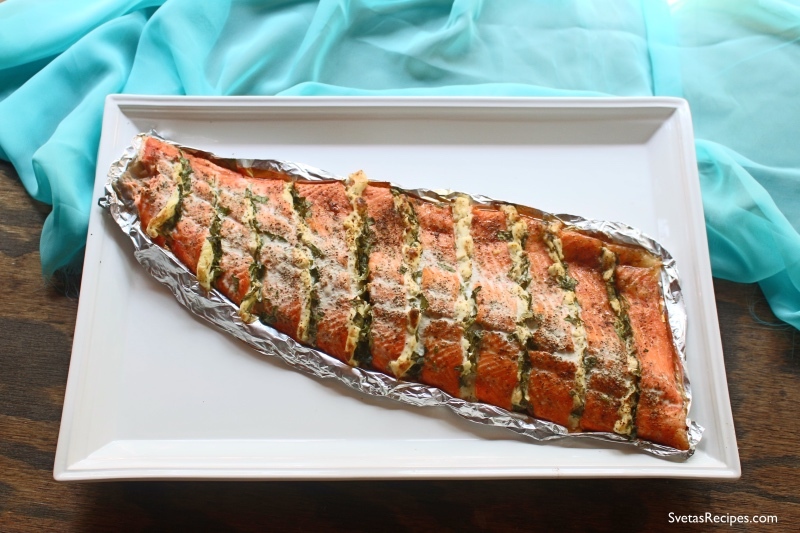 If you're looking for a really easy salmon recipe than you should definitely try making this. Wash, dry and cut your Salmon file. Cut your cream cheese and spinach. Sprinkle Mr Dash onto your salmon. 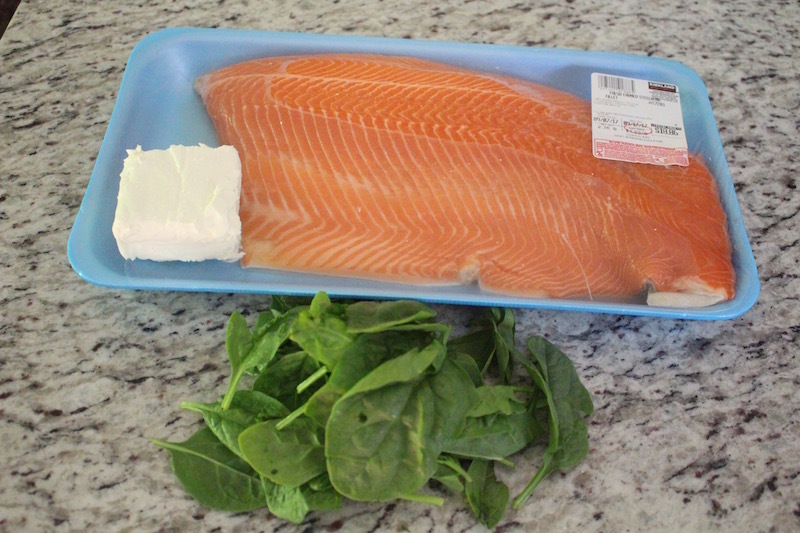 Add cream cheese and spinach between the cuts as shown in the photo. Put tin foil on your cookie sheet and place your fille on top. Cook for 20 minutes on 350ºF. Place on a serving dish and enjoy.